The connection between Warhol and The Connection was that the play and later the film featured actors playing themselves (junkies playing junkies), just as Warhol's actors would later play themselves in his films. The Brig also conveyed a sense of realism. It gave the appearance of something that was happening at the time in front of a voyeuristic audience - particularly as it was written by a former Marine. Both were initially stage productions put on at The Living Theatre, but later filmed by Warhol's colleagues at the time, Shirley Clarke and Jonas Mekas. The Connection was filmed by Shirley Clarke in 1961. Although The Connection is usually described as a play about junkies waiting for their fix, Clarke's film is as much about "realness" as junk. Were the actors playing themselves or were they actors performing a role? At one point, one of the actors in Clarke's film tells the director "Don't be afraid, man, this is just your movie, it's not real. I mean, uh, really real." The Connection breaks down the boundary between art and life filmically. With real junkies playing real junkies, what was real and what was really real? Warhol's later film experiments featuring real people doing real things (such as sleeping) would further break down the boundary between art and life in films and help pave the way for fly-on-the-wall documentarians such as Frederick Wiseman and the Maysles Brothers. (Wiseman's Titticut Follies was released in 1967; the Maysles Brothers released Salesman in 1968). Jonas Mekas filmed the The Brig in the early spring of 1964, although the stage production had opened the previous year after the stage production of The Connection. As noted in the Off-Broadway Theatre Listings section of the Village Voice on May 16, 1963. The opening on May 15 had also been announced in the previous week's Voice. The first Village Voice ad for the production was in the May 23rd issue, along with the review. Unlike the improvisational style of The Connection, The Brig was highly choreographed. The Village Voice review noted that "It is true that 'The Brig' isn't a play. Neither are all the events in the Judson dance concert series dances nor are Jim Dine's pictures paintings, nor in conventional terms are even John Cage's compositions always music... 'The Brig' uses a stage and (in a sense) actors and "in a sense) dialogue - but it does not use story, plot, character, conflict (in its technical meaning) or any of the other traditional devices of dramaturgy." If I was to compare it to a Warhol film, it would probably be The Life of Juanita Castro which is more of a chorus of voices than a movie with a scripted story-line - more rhythmic than narrative. Mekas claimed that it was after he showed his film of The Brig to Warhol that Warhol decided to use an Auricon movie camera to shoot Empire. "...in the early spring of '64, I filmed The Brig... with what's known as 'a single system camera' - Auricon camera. Auricon single-system camera, which is a camera used by newsreel men, where you can film a scene with sound on film simultaneously, magnetic or optical...I filmed The Brig that way because it was the cheapest possible means. It cost me, like, 600 or so to film The Brig. The Brig was also the subject of a three page article in the August 16, 1963 issue of Life magazine which also referred to The Connection as "the famous play about drug addition." The beginning of the August 16, 1963 Life magazine article on the Living Theatre's production of The Brig which also refers to The Connection as "the famous play about drug addiction." 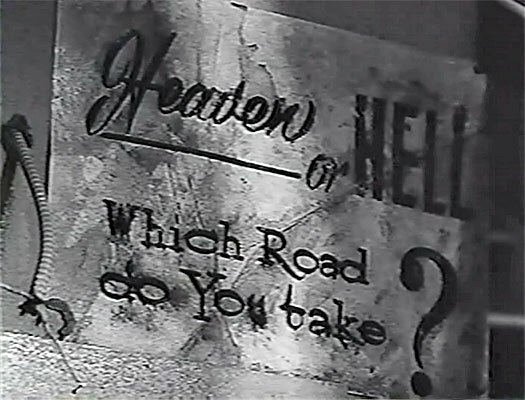 Both Mekas and Clarke were among the founders of the New American Cinema Group. Warhol's friend, Emile de Antonio (star of Drink aka Drunk) was also a founding member of the group. 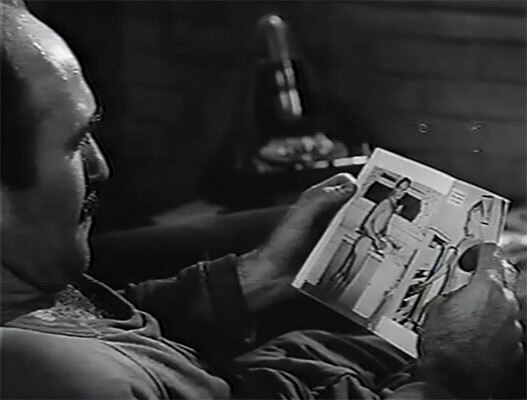 Clarke and Mekas were also later involved in distributing The Chelsea Girls. Warhol (via Pat Hackett in POPism) recalled that "we had an arrangement with the Film-Makers' Distribution Center (FDC), which was then headed by Jonas [Mekas], Shirley Clarke, and Luis Brigante, to split the net profits fifty-fifty, wherever it [The Chelsea Girls] played." (POP203) As the founder of the Film-makers' Cooperative, editor of Film Culture magazine, and a film columnist for the Village Voice, Mekas played a key role in the promotion and distribution of many of Warhol's films in the '60s. It is highly likely that Warhol saw both The Connection and The Brig, given his connections to Clarke and Mekas and the controversy that the films (and stage productions) generated. We know that Warhol attended the Living Theatre as he first met an early star of his films, Naomi Levine, at the theatre. Other film directors who incorporated an improvisational style in their work included John Cassavetes who made Shadows in 1959 and Robert Frank and Alfred Leslie who made Pull My Daisy the same year. 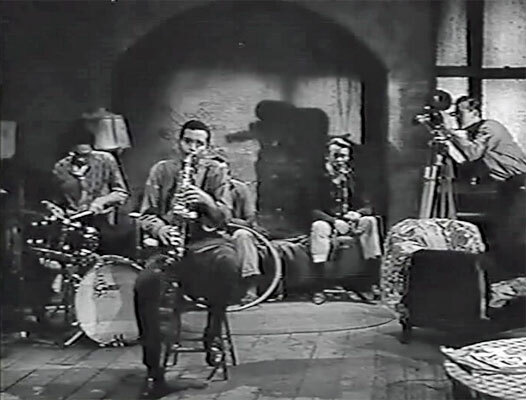 Both films, along with The Connection, featured a jazz soundtrack. (It would later be revealed that although Pull My Daisy seemed improvised it was actually carefully planned and rehearsed.) As the editor of Film Culture magazine, Jonas Mekas awarded the first Independent Film Award to the Cassavetes film and the second to Pull My Daisy. He gave Warhol the sixth Independent Film Award in 1964. The technique of using actors playing themselves around a loose scenario (or at least giving the impression of such) was an idea that Warhol borrowed from other directors at the time. With The Chelsea Girls, Warhol would later bring the underground techniques of improvisation and "realness" to commercial venues. The Chelsea Girls, like The Connection, also featured drug addicts. Stories of drug addiction had appealed to the general public for some time - particularly from the 1950s onwards. 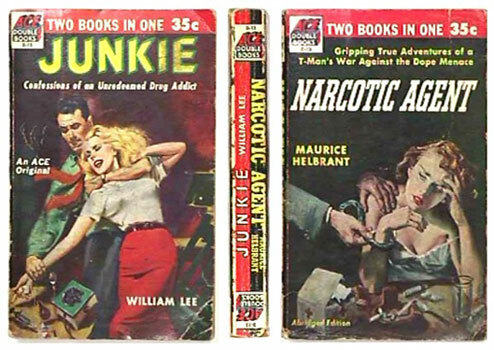 In addition to numerous magazine and newspaper articles about addicts, a number of non-fiction accounts by addicts began to appear in the '50s, including "Popular Library" paperbacks that appealed to the general public and were priced appropriately - 25₵ (just over $2.00 in 2015 terms). Other publishers also cashed in on the market. Pyramid brought out I was a Drug Addict (1954) by Leroy Street (in collaboration with David Loth) for 25c and The Junk Pusher (1954) by Robert W. Taylor, also for 25c . And then there was also Junkie by William Burroughs published in in 1953 as yet another low-brow non-fiction pulp book from the persepective of an actual drug addict. It was only a matter of time before Hollywood picked up some of the themes of the underground (drug addiction) and the improvisational feel of underground films. 60s films like You're a Big Boy Now, Easy Rider, The Graduate, and Cassavetes' commercial successes, appropriated the improvisational techniques that avant-garde filmmakers like Shirley Clarke had utilized in films like The Connection. In Popism, Warhol (via Pat Hackett), pointed out that Hollywood made Midnight Cowboy in 1967 after he had already filmed his story about a male hustler, My Hustler, in 1965. (POP204) Hollywood not only blurred the boundary between art and life but also blurred the distinction between under and over ground.